I was just reading an article about the second series of Strike Back, which will air on HBO with a new lead. 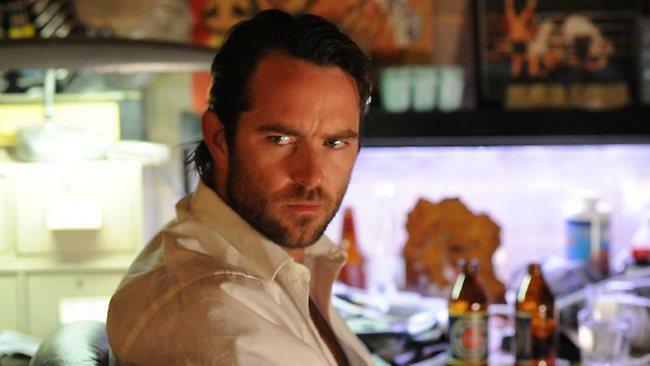 ANIMAL Kingdom star Sullivan Stapleton has cracked the US, landing the lead role in HBO’s mega-series, Strike Back. The Underbelly: Infiltration actor landed the plum job in the SAS-themed action drama last year and has committed to at least two series. Stapleton will fly to South Africa within weeks to start filming, before completing the shoot in Hungary and the UK. Strike Back, co-produced with Sky in Britain, is based on the action novel by former soldier Chris Ryan. The first series, which starred Brit Richard Armitage, was received well by critics and fans, but Armitage had to drop out to accept the role of Thorin in The Hobbit. Stapleton said the role was a “dream come true” after years “plugging away” in homegrown dramas. “Apparently they wanted an American, and they’ve ended up with me,” he said with a laugh. Stapleton said he hoped the role would springboard him into other Hollywood roles. Didn’t several of us want an HBO series for Richard Armitage? Not that Strike Back was the best vehicle, but I feel RA missed out on something. Then again, he will be in one of the biggest budget movies ever made, so I shouldn’t get too upset. It still smarts a bit. I mean who is this Sullivan Stapleton? The upstart! I’ve definitely gone into Armitage Protection Mode (APM). Imagine me as one of those emoticons with the quivering lip. LOL! I have a bad feeling about John Porter. Could you please not kill John Porter? My constitution cannot handle three character deaths in two years. edit: and it gets tougher to keep the faith. Love “APM,” lol! And absolutely agree about not being able to take too many more Armitage character deaths. His professional life in that regard is coming to resemble the last two episodes of N&S. 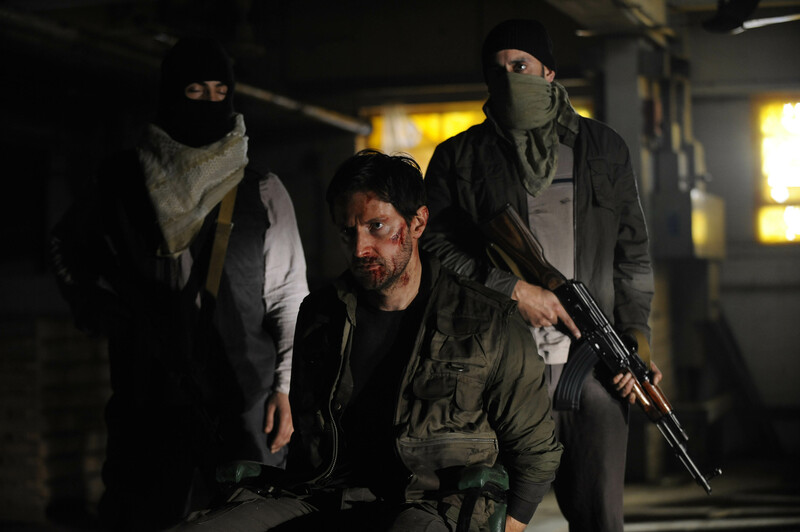 I certainly am disappointed that Richard Armitage can’t do The Hobbit *and* the lead in Strike Back. However, if I had to pick one, I would choose The Hobbit. 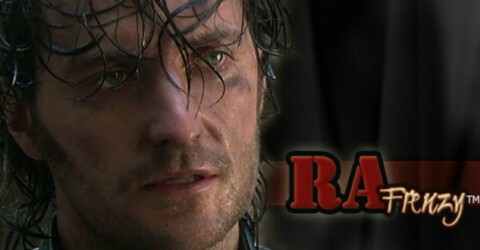 Richard Armitage needs to be in the movies! Are you listening, Hollywood? When I first read the news I was ambivalent about it. HBO is nothing to sneeze at. But the fact is, RA chose and it looks like for him it’s no contest. There’s something ultimately lovely about the fact that it seems he has choices. YAY! I’m not a huge fan of Strike Back anyway. I never imagined John Porter dying though! I feel like I’m wandering the land of the absurd. I’m looking forward to the dwarf. A wise choice, I think- an acting challenge. And I betya he will look waaaaay cool! Thank you for “APM”. I am completely with you. I would have wanted RA to do both “Hobbit” and “Strike Back 2”, but if I had to choose, I would have selected “SB”. But I also can understand that RA, who liked the Hobbit-book as a child, did choose differently. Oh, this news has made me so sad…and no news yet on if or how they will handle his exit from the series…I too wish that he could have done both The Hobbit and Strike Back, but if I have to be truthful, I would choose The Hobbit for him everytime. I assume that he must have told Sky about The Hobbit and had an exit clause written into his Strike Back 2 contract. I guess the uncertainty about TH schedule meant that he had to do that. I loved, loved, loved John Porter but career-wise, The Hobbit is probably the best choice (yes, the man needs to be in movies) and yes, hooray that he has CHOICES. Please, TPTB, let John live and retire and enjoy life with his daughter–I wouldn’t mind a torrid affair with Layla while you are at it (sorry, Danni–love you, Shelley Conn, but the whole honey trap thing left a bad taste in my mouth). I can see arguments for preferring SB to TH, BUT, if he’s serious about directing someday, it occurs to me, working with PJ is a chance he can’t pass up, not just in terms of networking, but to see how a particular director highly esteemed director works. I think it was a no brainer to choose The Hobbit, but I find I’m mourning even the idea of John Porter being no more. Uh, I made a huge error in my post. I’ve already predicted that Lucas doesn’t die, and I’m sticking with that even if I look like a fool later. @kaprekar, LOL! Yeah, he does have his specialties. @Angie, At least we have Truce!! Sorry about your tooth. Wow, I can’t believe how much people refer to the Hobbit as a “great career choice”. Not a great acting choice but a great career choice. What am I missing here? Stapleton who? Heh. I’m not being contemptuous, but just looking at him I am thinking -action -man, -couldn’t- care -less. If this is the way the first SB was touted I would not be watching, I do wish Stapleton the best of luck, though. I have a feeling it will be a hit because the the first SB wasn’t bad at all. @pi, I’m not sure what others are thinking of. I’m thinking of the career choice. I think this guy is a director in the making, and this is not the first time I’ve said that. Far from it. This choice makes total sense. I should clarify I think The Hobbit is also a great acting choice–I would say he will have the chance to stretch himself but that seems inappropriate given the, er, stature of the role . . . *grin* However, I do think it will be very interesting to see how he adapts his performance to the long beard and possible heavy makeup for the role. I was so amazed at the hair acting in RH S3. The man rocked the locks. Will he do the same for that beard? Enquiring minds do want to know . . . can’t wait for some interviews, articles, photos from the training camp, whatever news we can get. And yeah, let SB 2 become a hit, because at least RA will be in part of it, and it is yet another avenue through which he can become familiar to American audiences and I am all for that. I think RA will make a fantastic director one day, and I know it is one of his aspirations. Getting to work with someone like PJ has only got to be a good thing for him in so many ways. @pi, missed your post about Stapleton. It will probably be a bigger hit than the one on Sky. That’s the rub! Is that like saying maybe he prefers directing to acting? Because I don’t get that feeling. I think the choice of the dwarf fits in to expanding his acting range, a very personal choice. I would guess that the desire for directing also come from some frustration. My guess is his mind is far ranging enough to include both. As servetus speculates, it will certainly provide him with some director mentoring from PJ if he so chooses, although I am more inclined to believe the acting (and pay cheque) still come first. And my question still stands- why not the enthusiasm for the dwarf but for everything surrounding it? I admit — and it’s because I am not a huge Tolkien fan, I like him fine, I am just not euphoric about him — that I don’t see tons of distinction in terms of dramatic potential between this character and others he has played in the past. Obviously the final word on that will wait on the script and the performance. But the arguments for seeing it as a great career choice are more obvious, I think. Doesn’t mean they are more valid. I think there is massive dramatic challenge, and I don’t know about potential. I imagine that answer shows up in the end product. It is far, far harder to act under prosthetics than au naturel. I remember watching V for Vendetta and having no idea who the actor was behind a mask that never was removed. The actor, Hugo Weaving, was so amazingly compelling, just in using his voice. I, as an actor, would relish that kind of challenge, and it does take a lot of confidence. And. oh. the eyes! For me as the audience….So much to fall in love with! pi: Given his interest in playing ugly characters, I think you’re right. On the other hand, a lot of commentors on my blog have been pointing out that in terms of international distribution (dubbing into foreign languages) this is the worst possible kind of role for making a reputation — where you can’t completely see the actor’s face, or at all. I think he made the best career choice possible by selecting The Hobbit. For an actor to go from television stardom (mainly in the UK) to international major motion picture star is quite an accomplishment. I think we can’t really imagine what it means to him to be involved in such a major project with an award winning director. If the movie is the worldwide hit everyone expects it to be, and he personally receives the recognition he deserves, then his career has the potential to be successful artistically and financially in ways he and we can’t really predict. Viggo Mortensen’s career since LOTR is a good example. I haven’t seen all his films, but he’s been in critically acclaimed films as well as commercially successful films since playing Aragorn. RA may even be able to use the fame and money and contacts in the business to take his Richard III project from dream to reality. If the Hobbit and RA both are the success we all know (and hope) it will be, then I have no doubt he’ll be working with HBO, if that’s what he wants of course. Aidan Turner in another interview about The Hobbit was quoted as saying the acting profession is very fickle and he’s not sure what will happen after the film. I’m sure in the midst of all the excitement that Richard is thinking that also. I am sorry that he won’t be in the next series of Strike Back for every episode, and I still hope he’ll be in some episodes, and I don’t want John Porter to be killed off. (I’m in denial about Lucas after all). I wish he could have done both. Don’t forget that Richard has mentioned several times how much he loved the Tolkien books as a child, so I think he probably jumped at the chance to do The Hobbit. It must seem like a childhood dream come true. One report in a newspaper doesn’t mean he will have no part in SB2. However, I think he is well out of it in the long term. If the plan is for several more series of SB, apart from job security, I can’t see what would attract RA. The plots were getting repetitive in the first series and with the resolution of the Basra incident, there was no underlying motivation for John Porter. If JP is too die, please let it be as a hero with his integrity intact. Working on the Hobbit will be a far superior experience in every way. The Hobbit will be watched for years to come and Strike Back will be just another action series with some pretty beefcake in that no-one remembers. I am disappointed in this, but given the two options, I completely understand his decision. HBO vs. massive film production in an established popular series, there really is no contest in terms of professional career. And yes, even dramatically. John Porter is a pretty straightforward hero, Thorin is much more complex and ambiguous. There is a not of dramatic meat on that bone for a good actor to work with. Plus, Armitage himself once said he liked taking roles that were different than previous ones. He likes new challenges. Actually there is a underlying motivation for John Porter which is service to his country and the fact that he really can’t make it outside the military. That is the life he was made for. That of course creates the continual dramatic conflict with his emotional self, that he also needs his family, and such. But that is not something that can have a neatly defined story arc as the Basra incident did. I should add, the dramatic conflict with his emotional self in needing his family *and* his moral choices, which is the main dramatic conflict of the character demonstrated in his decision to save As’ad and Masuku rather than killing both of them. I think a great storyline they could have is forcing John Porter to deal with a moral ambiguity. Put him in situation where there is no clear right or wrong. Make him deal with a “bombing of Coventry” (which is urban myth, in reality Churchill made no choice, it was just an intelligence failure) situation. For a binary thinker like John, that would be a major dramatic conflict and give the character a chance to really work his cleverness. Oh..I think I just came up with my next fanfic. I would love to hear from Richard on the creative process behind developing the character of Thorin. I am fascinated with his approach to his characters and how he develops them, those small details of his performance, the nuances that add so much for the audience. So I am hoping we get interviews of some sort that will shed light on that. We know he modulates his voice for various roles, and how he carries himself (the body language); of course, as already mentioned, I’m wondering how the (presumably) long beard and possible prosthetic makeup will affect his performance. I think your view is too mercenary :). I do think it was an ideal confluence of factors. I agree. As I have said before, I think trying to pinpoint a single reason as the driving force behind an artist’s creative decisions is being a little simplistic, especially when we are talking about such a massive commitment like the Hobbit where he will be spending months away from home and friends and family. That not the kind of commitment one makes for just the cash and the fame. If it was, if he had no interest in the part dramatically, he would be spending the next year-plus in creative hell. I mean, watch the “Warriors of the Third Age” featurette on the TTT: Extended Edition extras and what they went through for the filming of Helms Deep. A person doesn’t put themselves through that unless they believe in what they are doing. Hollywood is all about the numbers. So if he has a larger role in a blockbuster movie, it doesn’t matter if you can’t see his face. In the end, it will mean choices for him, because Hollywood likes to bet on horses that win races and make lots of $. As much as he embraced and dug into John Porter as a character and played with guns in Strike Back and Spooks, I recall him saying in several interviews how he doesn’t want a “violent death” in Spooks for example and initially thinking Porter was “another war-action hero” drama on SB behind the scenes. Still I will miss him as John Porter there is no comparison with the new dude. But with his love for historical drama I believe he’s hoping to move away from roles such as Lucas North and John Porter. It must be the hardest thing as an actor to have to let go even if the choice is obvious. YES to more Porter fanfic!! You’re absolutely right about Hollywood’s way of looking at things. He could be completely unrecognizable as Thorin, and if it’s the big hit we anticipate, the fact he was starring in this hit will guarantee more doors will open and more offers will pour into him. I truly hope it will lead to Richard getting to do more of the roles in the kinds of productions he really wants to do. He has worked so hard for so long and he deserves it. Ultimately, I will watch him in anything he does, anyway–even force myself to sit through the pain and anguish of S9 of Spooks, for crying out loud. For a gentle, self-described pacifist, RA has played some rather violence-oriented starring roles, hasn’t he? Guy, Lucas, John Porter . . . and I love them all and I think he loves and is protective of all those characters he worked so hard to craft and give a heart and soul to. I have a hard time letting go of them when I write about them and I am not their Creator. But I do think the darker aspects of some of these characters wears on his psyche after a while–I think of his comment about playing Guy and going around “with a face like thunder” for three years. He said in an interview when he is in an action role, he finds himself wishing he was on a set drinking tea in a cravat, and when he is shooting a tea in a cravat scene, he wishes he was running around with a gun somewhere–I guess as an actor, there is always this desire to be doing something new and different, perhaps. I think one thing he is taking into account is the fact an actor can’t plausibly play an action hero indefinitely. It reaches a point where it’s a bit ludicrous. If that were the only type of role he could play, it would be one thing. But we all know he’s far more versatile than that. Still say he’s the consummate character actor underneath all that exterior beauty. May many wonderful acting opportunities continue to come his way.